There is no question about it — Texas is huge and offers some of the most beautiful vistas I have ever seen, and I’ve seen plenty. This morning Dad and I hit the road for the second day of our road trip. Once you get to this part of Texas the speed limit increases on those long and lonely stretches of highway where you can see another vehicle approaching from miles away. Even so, it can feel like you are crawling across the vast Chihuahuan Desert. After crossing the Pecos River we pulled off the highway and headed to Langtry to visit Judge Roy Bean’s place. Judge Bean is one of the more colorful characters in Texas history. He regarded himself as the Law West of the Pecos. His only qualification was owning a copy of a single law-book that he rarely used, preferring instead to dispense his own brand of justice. His is just one of the many stories that make up the history of this desolate part of Texas. No matter where we go we are surrounded by stories waiting to be told. Every place that we pass and every person that we see along the way has a story. Each of us is, in fact, living in the middle of a story. I’m really thankful to have this time with my Dad because his stories are helping me to understand more about those who came before me. I have asked Dad about what his grandparents were like, about his first jobs, about the movement of family from one place to another, and more about the early days of his marriage to my beautiful mother. Traveling down this long road together also prompted Dad to tell me about a road trip that he made from Mission to El Paso to visit the girl he would marry. That story prompted me to ask more questions about what kind of car he drove and what the roads were like and what it was like to see my Mom after being separated from her while he was in military service in Europe, and many more questions. I have concluded that stories are like dabs of paint on an artist’s palate. They are like the colors that add the detail and depth and contrast that helps to make the image on the canvas come to life. 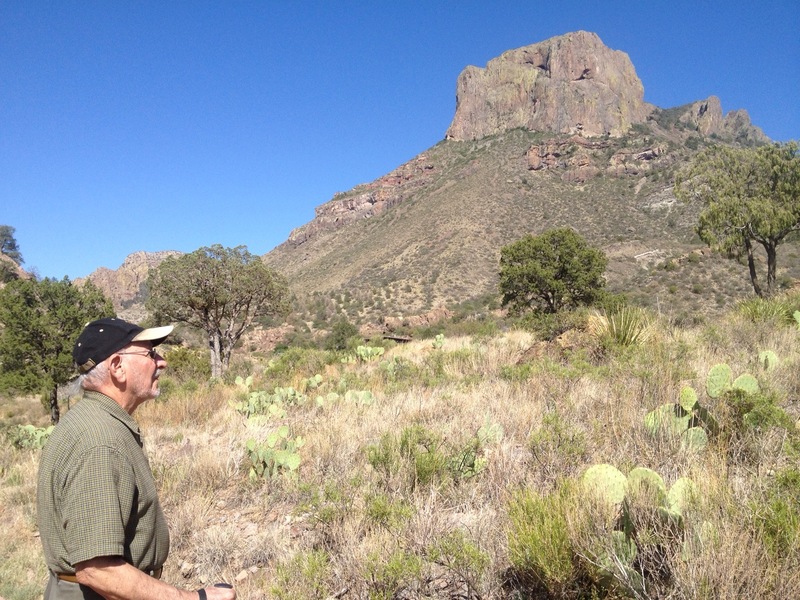 This afternoon Dad and I took a short hike near our lodge in the Chisos Mountains in Big Bend National Park. We walked at a slow pace, stopped to take photos, and enjoyed good conversation along the path. As we walked I thought about another favorite quote by Barry Lopez: “Conversations are efforts toward good relations. They are an elementary form of reciprocity. They are the exercise of our love for each other. They are the enemies of our loneliness, our doubt, our anxiety, our tendencies to abdicate.” Conversations are also the vehicle that transmit stories from one person to another and from one generation to another. If we want to know more about others then it must begin with good conversation.